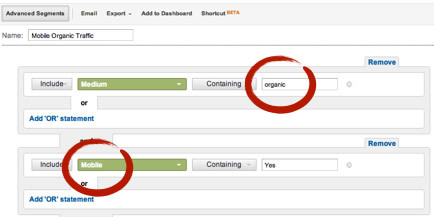 Use the Google Analytics “Mobile” dimension to create an advanced segment for the organic traffic coming from mobile devices, its volume, trend, devices, most popular landing pages and keywords used. Use the Google AdWords Keyword Tool mobile filter to see the keywords used by your audience to search from their mobile devices. 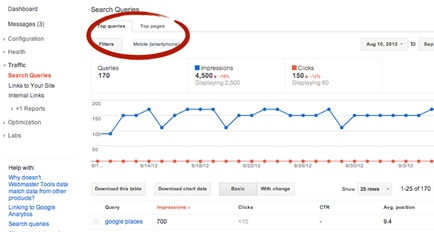 Use Google Webmaster Tools to see the top queries and pages showing in Google’s mobile search results. 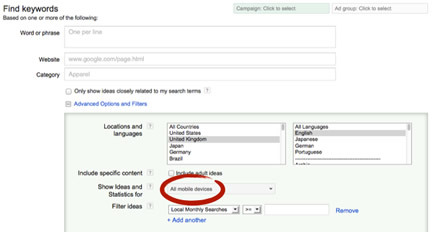 Google Webmaster Tools “Fetch as Google mobile bot” option. All alternatives have Pros and Cons and although the best for SEO is going with responsive Web design it might not be suitable depending on your technical capacity and content differentiation needs. Make sure to optimize page speed, especially important for mobile due to bandwidth restrictions. Validate that mobile users see the same than the mobile search engines bots and avoid cloaking. 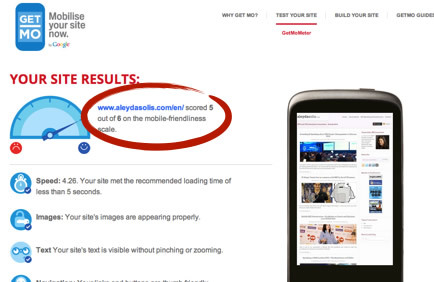 Take a look at Google’s recommendations to build mobile optimized Websites. 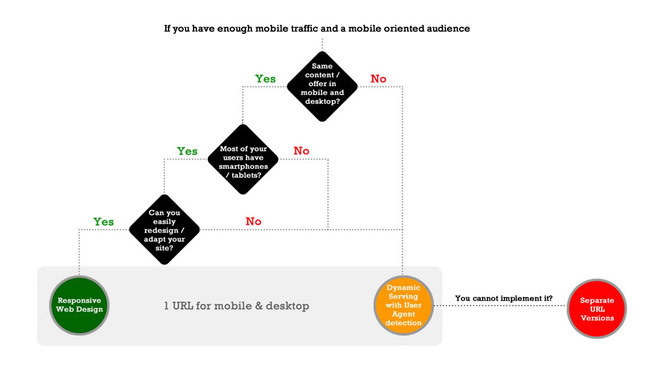 Follow this Mobile SEO flowchart (that I originally posted at State of Search) to decide if you should build a new responsive Web, implement a dynamic serving site or build a parallel mobile version depending on your situation. Star Wars photo taken from Flickr.